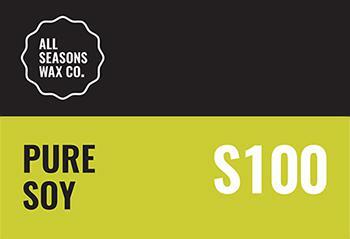 Our Pure Soy S100 wax is slightly different to the other soy wax blends we have on offer. This wax is not blended with any other elements besides soy, containing no other wax hardeners and no percentage of other waxes. This variety is as advertised; pure, premium and natural soy wax. The way we've achieved a workable wax with just soy compound is by hydrogenating soya oil to create wax. The creamy soy finish from this wax is simply stunning, with an even burn pool, great hot & cold scent throw the Pure Soy S100 wax from All Seasons Wax Company could be the perfect answer for those looking for a pure soy wax product. By hydrogenating a by-product of the soy harvesting process, we’re able to use this thicker and tougher compound to harden and stabilise the natural soy wax resulting in a 100% natural product that performs consistently like any great wax should. This very scientific and carefully measured process leaves us with what we believe is the best pure soy wax available on the market. Recommended Fragrance Load: 6-8% - this depends on the potency of the fragrance so testing is required. The magic of candle making is in your own testing. Finding which blends, wicks, jars, temperatures, percentages and fragrances yield the best results for you – we encourage you undertake many different tests and trials to achieve your perfect ready to go candle. We do find that due to the type of emulsifier used in this blend, experimentation is needed if using colour additivies. Being made entirely from soy, this 100% natural product can be more temperamental than our other blended waxes, we recommended trialling of this wax to ensure you're able to harness the beautiful potential of pure, natural soy. We suggest you take extra care preparing the pouring conditions of your candles and to always run a test in those conditions before mass producing any of your candle ranges. We recommend Pure Soy S100 for experienced and patient candle makers. It is challenging to master as it is produced without any other additives.